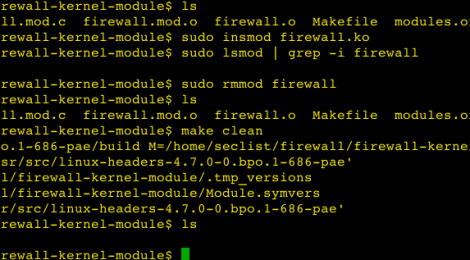 Browse: Home / Firewall kernel module. 1. Block all unsolicited ICMP packets coming in from outside except the ones going to the web-server. However,the local hosts should be able to ping outside. 2. Block all ssh attempts from outside. 3. Block port 80 (http) access from outside except for the web-server and test that an internal website on a local host is only accessible from inside. ← Fluxion v0.23 (rev.108) is the future of MITM WPA attacks.